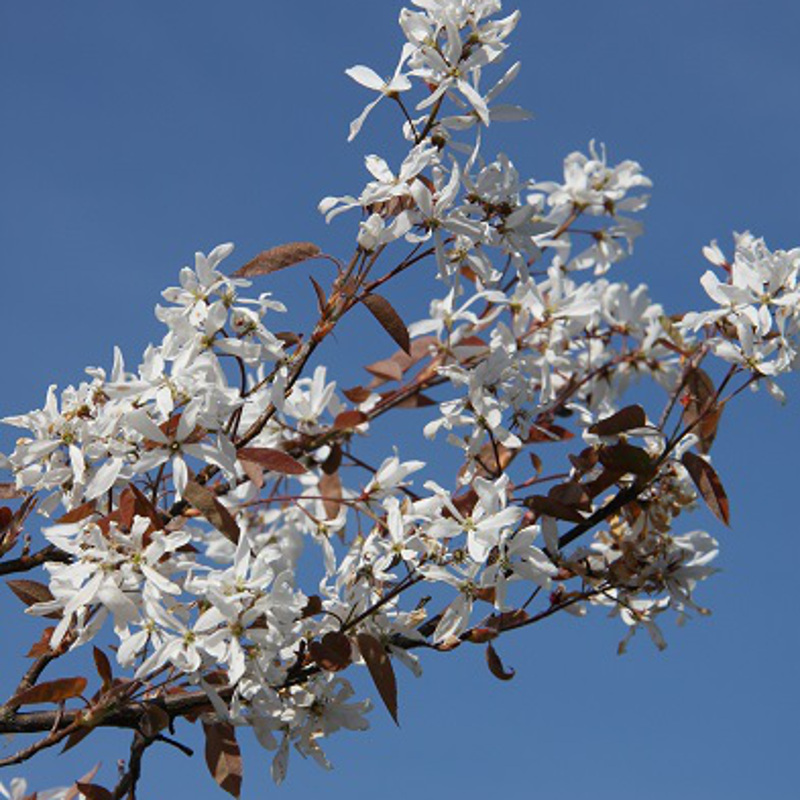 La Paloma (Amelanchier 'La Paloma') which was previously distributed as A. laevis is a truly wonderful snowy mespilus tree and deserves to be more widely planted. The pure white, pendulous flower clusters look sensational against the almost luminous coppery-red young leaves in April. Forms a round-headed small tree. Excellent leaf colour is superb during autumn. This tree is supplied at a height of between 1.5 and 1.8m in a 12 litre container for year round planting and has a higher successful transplant rate compared to bare-root or rootballed stock. Mildew with young Amelanchier trees is a common problem. This does not affect the health of the tree, just the leaves and is a cosmetic problem.